Fine Arts Center Blog: Who Is Jacques Brel? Jacques Brel Is Alive and Well and Living In Paris. Actually, he is dead. But his songs are alive and onstage starting tonight! 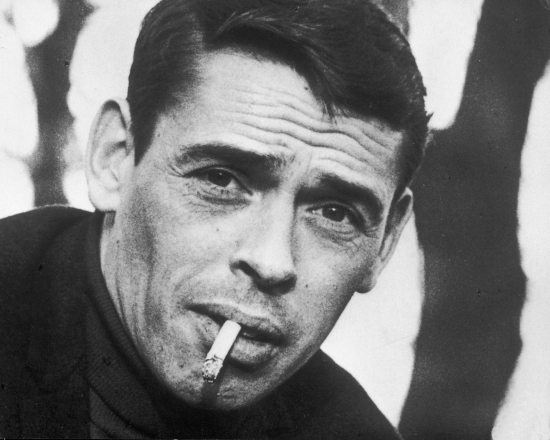 Brel is a singer and songwriter who lived from 1929 to 1978. He was born in Belgium, and he worked and lived in Paris. "It's really rich and complex and funny, and then it turns on you and it's really tragic. We don't have music like this anymore." His music was very theatrical and modern, and his experience with World War II greatly influenced his songwriting. 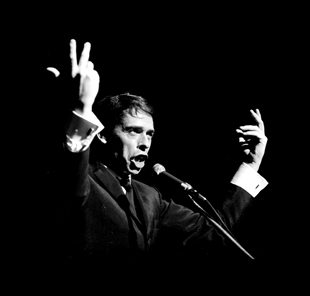 Jacques Brel's work was widely appreciated in Europe and later throughout the world. "The show lets the music speak for itself. You get a sense of the effect the war had on him, and on many of his contemporaries. He sings about it a fair amount, but not as often as he sings about women. There are songs about love and his own mortality - another song thread." His songs have influenced many artists in their songwriting, adaptations, or covers of his work, such as David Bowie, Nina Simone, Sting, and Frank Sinatra. While his music lived on through the people he touched with his sound, many people do not know Jacques Brel and what he represented as an artist. "The more I find out about him, and get into the songs we're doing, it's incredible how relevant his music is to today. He talks a lot about war and the human condition, and how we never asked to be where we are. How a lot of what we have has been given to us, and then what do we do with what we've been given. It's very thought provoking and dark, but it's not despair. There's hope and little pieces of light." June 20-30, 2013| Buy Tickets!